Ainsley Maitland-Niles is set for up to eight weeks on the sidelines after Arsenal confirmed the youngster has suffered a fracture to his left fibula. 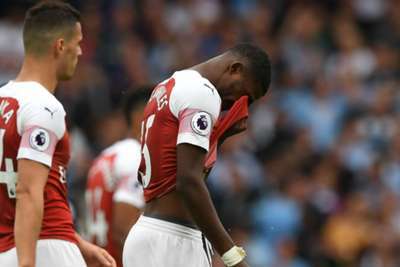 Maitland-Niles was selected by Unai Emery for the head coach's first Premier League game in charge but limped out of the action against Manchester City before half-time following a heavy collision with Kyle Walker. 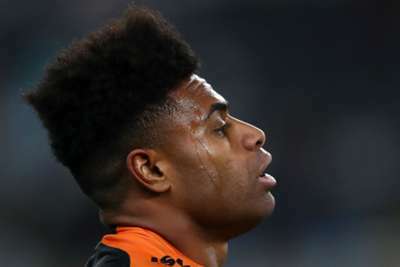 In an injury update on their official website, Arsenal confirmed the incident left the 20-year-old with a "small fracture" that will mean a six-to-eight-week absence. Emery selected the Maitland-Niles at the problem position of left-back, given both his senior options – Nacho Monreal and Sead Kolasinac were absent. Thursday's update detailed Kolasinac's rehabilitation from a knee injury, with an October return to training the target, while Monreal is back to full fitness alongside Danny Welbeck and can be expected to face Chelsea at Stamford Bridge this weekend. Club captain Laurent Koscielny is aiming for a November comeback after the Achilles surgery that ruled him out of France's World Cup triumph. Carl Jenkinson is also out for six-to-eight weeks with a "significant" sprain to his right ankle. Super League leaders St Helens scored 11 tries in a brutal thrashing off Hull FC, whose city rivals were also giving a hammering.